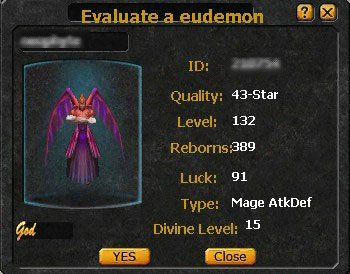 What are my Eudemon's points and growth rate? Does Eudemon A have a higher ini-attribute than Eudemon B? Should I use my Eudemon for main attribute composing or for minor attribute composing? 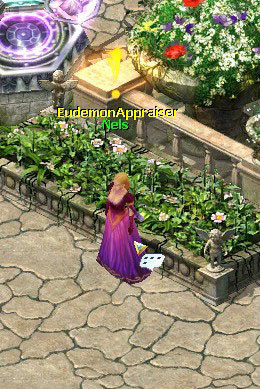 Nels (Cronus 334,448) has dedicated her life to Eudemon research and can answer all these questions for you. But she will charge you 10,000 gold for the appraisal. 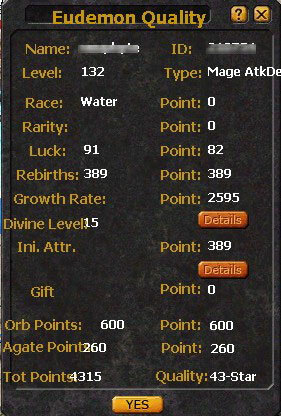 A Eudemon's total points= Race points + Rarity points + Luck Points + Rebirths + Growth Rate points + Ini-attribute points + Divine Level (if it's apotheosized) + Gift + Orb points+ Agate Points. For every 100 points your Eudemon gets, it will gain a star. For example, if your Eudemon has 500 total points, it will become a superb 5 star Eudemon. 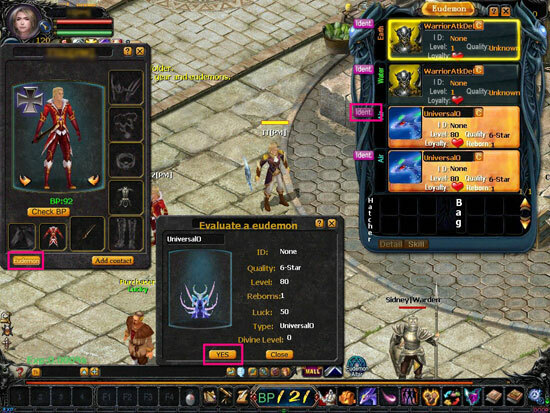 Level 120+ players (including level 120) can check their Eudemons' Points For Free on the Eudemon Interface. Click on to open the eudemon interface, then click the "Detail" button and you will see a magnifier on the egg near your eudemon. Click on it to check your eudemon's points. 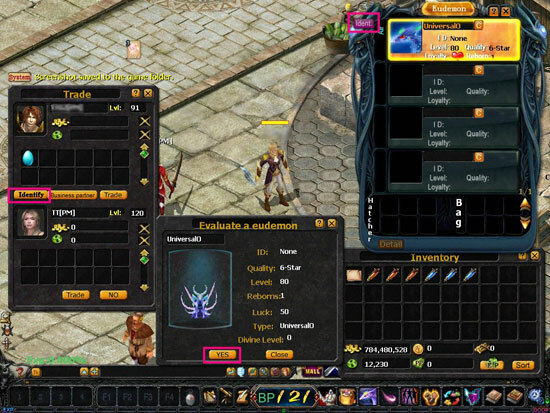 You are not only able to check your own eudemon's points, but can also identify other players' eudemon by spending some gold when trading or peddling in the market. 1. Check the target's eudemon's points at any place by using the "View Other" function. Click "View Other" button on the chat column ---> select a target ---> Click on the Button "Eudemon" ---> Click on the button "Ident." 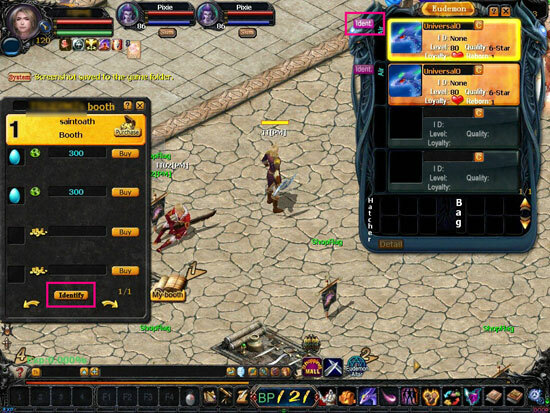 ---> Pay some gold to check the points. 2. 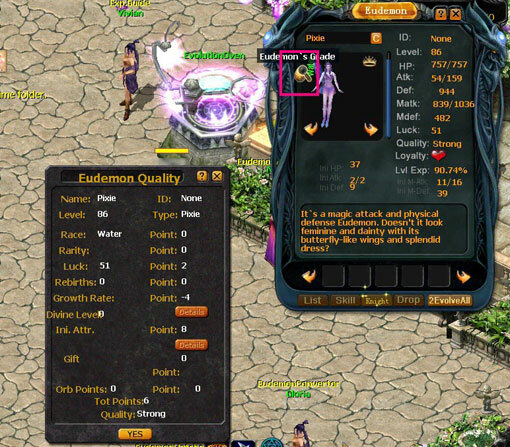 You can check the target's eudemon's points once your trading partner puts the eudemon in the slot. 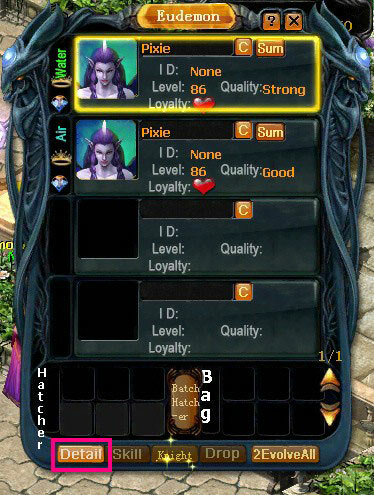 Click on the button "Identify" ---> Click on the button "Ident." ---> Pay some gold to check the points. 3. You can identify the eudemons being sold in the peddler. Same operation as trading.